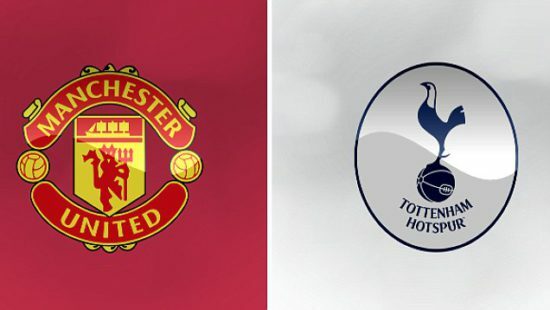 Manchester United entertain title rivals, Tottenham at Old TraffordÂ on Saturday. The lunchtime kick off is expected to be a fiery encounter as both teams know that a bad result could leave them further behind current league leaders, Manchester City who are expected to stroll past West Brom. Both teams have had mixed fortunes leading to the clash as United lost 2-1 lost newly promoted side, Huddersfield City before beating Swansea 2-1 at the Liberty Stadium in midweek to advance to the last eight of the Carabao Cup. Spurs on the other hand walloped Liverpool 4-1 in the league last time out before losing 3-2 to West HamÂ on WednesdayÂ night. The North London outfit are also without league top scorer, Harry Kane for the clash as he suffered an hamstring injury in the thumping of Liverpool. We take a look at the players Jose Mourinho could turn to mastermind a victory for us in what promises to be a tough clash. David de Gea has been in inspired form all season, conceding just four times and keeping 7 clean sheets already in just nine matches. The Spanish goalkeeper will start the clash and will fancy his chances of making it an eighth clean sheet of the season by shutting out the likes of Christian Eriksen, Son, Fernando Llorente and Dele Alli. After missing the last two games, Eric Bailly is expected to play against Spurs. The Ivorian has formed a good partnership with Phil Jones and will be a welcome sight to Jose given the struggles of Victor Lindelof who was terrible against The Terriers. Alongside him should be Jones who was replaced in the 23rd minute against Huddersfield. The England international was on the bench against Swansea in midweek and will be fit for the clash. At right back, Antonio Valencia should keep his place by threatening Spurs left while at left back, Ashley Young should feature as he has been consistent in recent weeks. Club record signing, Paul Pogba has been pictured training hard ahead of a potential return but the clash may be too soon for the France international. Sitting at the base of the midfield should be Ander Herrera and Serbian powerhouse Nemanja Matic. The pair have not hit it off together but against a formidable opponent like Spurs, they should raise their games. Further forward, Marcus Rashford is expected to keep his place on the left hand side of attacking midfield having started yet again in Wales in midweek. Behind the striker, Jesse Lingard is making a strong case for himself after scoring twice against The Swans and with the diminishing form of Henrikh Mkhitaryan, he should get to play. On the right of the attacking midfield triumvirate, Anthony Martial should come in for this one as he has impressed this season. The Frenchman is finally fulfilling his potential with series of consistent and committed displays. The imminent return of Zlatan Ibrahimovic should spur Lukaku to regain his form as he has looked ordinary in the last two matches, despite creating a goal for Rashford in the loss to Huddersfield. He hasnâ€™t scored in the last two matches and will fancy his chances of scoring against Tottenham.